You may have come across information in the media about breast milk sharing. At Lactation Care, we feel that there is a need for increased public awareness about human milk banking and how it works. There have been many articles written about casual online milk sharing but few people may be aware of a safe alternative for procuring human milk supplements for their little ones. Did you know that there are 18 milk banks providing pasteurized donor milk to the United States and Canada that are members of the Human Milk Banking Association of North America (HMBANA) as well as ten more in development? 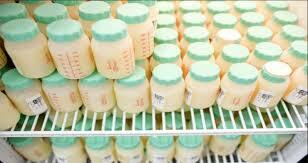 According to HMBANA, the first human milk bank was established in Vienna, Austria in 1909. By 1919, there were two additional banks, a second in Germany and one in Boston, Massachusetts! HMBANA was established in 1985 drawing representatives from donor milk banks and members of the medical community to establish guidelines for safety and best practices in the collection, processing, and dispensing of donor human milk. As a first choice, an infant should receive his or her own mother’s milk. In their Policy Statement, the American Academy of Pediatrics also states that “donor milk is considered a suitable feeding alternative for infants whose mothers are unable or unwilling to provide their own milk.” This becomes an even more critical issue when we consider the need of infants who arrive prematurely or with health challenges. For these babies human milk is not only the optimal source of nutrition, it can literally be lifesaving – a form of treatment or medicine. Often mothers who give birth to premature infants suffer from illness or complications from the birth which may make it difficult for them to initiate and / or maintain an adequate milk supply for their babies. For these reasons, pasteurized, banked donor milk can provide optimal nourishment as well as treatment and protection for these very vulnerable infants. 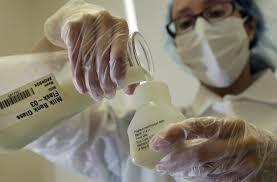 A growing number of hospitals now provide premature infants with pasteurized donor human milk (PDHM). In addition, when supply may allow, babies being cared for at home may also be eligible to receive PDHM with a prescription from their doctor. 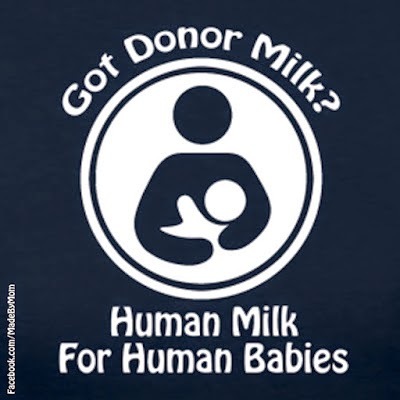 In general, we find that the need for donor milk surpasses the supply; it is in great demand. Mothers who have a surplus of milk can help to ease this shortfall by becoming volunteer donors to a regional HMBANA milk bank. Because the milk banks serve a very vulnerable clientele of often fragile and/or premature infants they follow many steps to ensure the safety and purity of the milk they collect, process and distribute. The screening process gathers information about a potential donor’s lifestyle behaviors, health, as well as the health of her nursling, requiring signed letters from her medical provider and her baby’s pediatrician, and in addition blood tests through independent laboratories. The donors are provided with the best practices for the proper collection storage and handling of the milk they collect. The donated milk is heat treated and tested and must be free of bacterial contamination. In 40 years of modern milk banking, there has never been a case of a baby becoming sick from using donor milk obtained through a milk bank. For families seeking an alternative to formula to supplement their baby, HMBANA milk banks provide a safe, nutritionally optimal option without the risks associated with online, milk share sites. For more information about HMBANA and the wonderful important work they are doing check out: https://www.hmbana.org/.